Do you want to transfer text messages from your old BlackBerry phone to your newly bought Android phone? It can be easy. 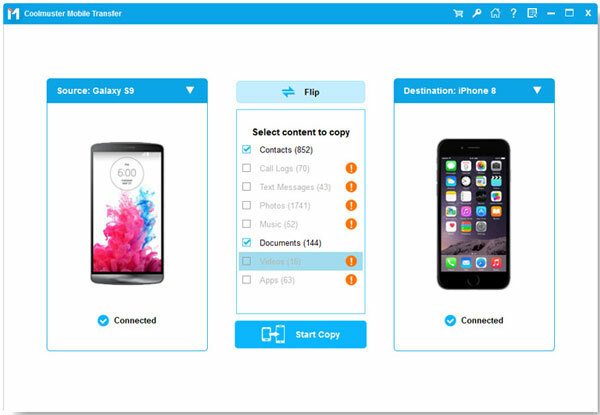 A third-party phone to phone data transferring tool is able to help you achieve the transferring goal with ease. However, there are so many such kind of tool available on the web, how to choose the best one? According to my own experience, Coolmuster Mobile Transfer is the best one I have ever tried. Mobile Transfer is specially designed to help BlackBerry, Android, as well as iOS users to transfer everything between two mobile devices. With it, you can transfer not only text messages, but also contacts, videos, music, photos, apps and more from BlackBerry to Android, and vice versa. It supports BlackBerry, iPhone and Android devices, such as Samsung, HTC, LG, Motorola, Sony, Huawei, Google Nexus and so on. This program can be practical to copy data between them. Now, you can download the free trial version of the Mobile Transfer to learn how to copy messages between BlackBerry and Android. It would be hassle free. Just give it a try. How to Transfer Text Messages between BlackBerry and Android? 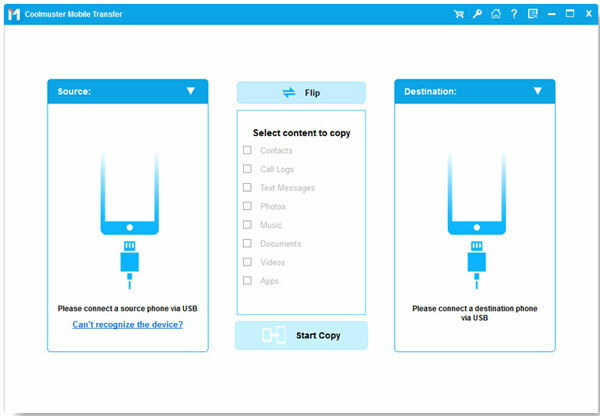 To begin with, download, install and open the Mobile Transfer on the computer and then get two devices connected to the computer via the USB cords. Choose the Phone to Phone Transfer mode and hit the Start option. After two devices are detected by this software, all file folders are arranged on the panel for your reference. You can then enter the SMS tab to preview more detailed file information. While previewing, select the wanted messages by ticking them out. After you selected all the text messages you want, you can then hit the right or left direction arrow to transfer those selected messages between BlackBerry and Android.